Henry Eldridge Perry Jr., age 96, passed away peacefully from natural causes on February 9, 2018 at his home in Seattle, Washington. Husband of Janet Steputis Perry and the late Joyce Fowler Perry; father of Joyce Perry Cornell, Henry Eldridge Perry III, and George Fowler Perry; stepfather of Susan Steputis; grandfather of Grace Evelyn Gonzales, (Michael Eugene Gonzales); great grandfather to Xavier Cajeme` Gonzales: All reside in Seattle. Hank was born on August 31, 1921, in Little Boar’s Head, New Hampshire, and grew up in Peoria, Illinois, and Terre Haute, Indiana. For high school, he attended Phillips Exeter Academy. After graduating from Yale University with a B.A. in International Relations, he served in the U.S Navy in the South Pacific, attaining the rank of Lieutenant (Senior Grade). On returning from the war, he went to work at Rand McNally & Co. in Chicago, where he met his first wife, Joyce. He decided to enter Northwestern Law School, graduating in 1952 with a J.D. degree. Soon after bringing his family to Seattle, he entered private practice of the law. Hank’s interest in public law and politics led to an M.A. in Political Science at the University of Washington in 1964 and a career teaching political science and law at Highline Community College in Des Moines, WA. While at Highline he directed the development of a Legal Assistant Program and its accreditation by the American Bar Association. He retired in 1986. Hank is forever indebted to Joyce, his dear wife of 46 years for her love, friendship and support, and also to Janet his dear second wife of 21 years for her attention to his care in later years. No man could have been more fortunate! The hobby that brought Hank the most joy and satisfaction was choral singing. He sang in church choirs for 60 years (except World War II) and went on three international tours (Yale Glee Club to South America in 1941, and with the Seattle Peace Chorus to the Soviet Union in 1988, and to Chile in 1995). 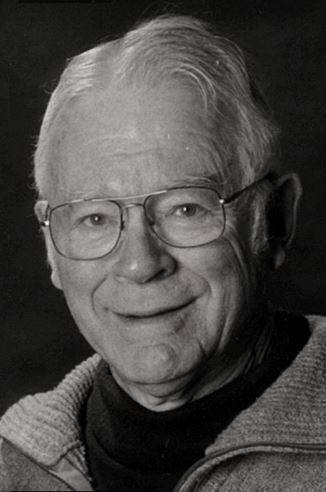 He was a member of Plymouth Congregational Church, the Seattle Tennis Club, the World Affairs Council, the Municipal League, the Northwest Ethics Institute, and the Harborview Mental Health Services Citizens’ Advisory Board. At Plymouth Church, he participated in the Church Council, the Community Services and Social Action Board, Prime Timers, and the Peace Action Group, in addition to the church choir. In his later years, he deplored and worked against this country’s nuclear buildup, its interventions in Central America, and its embargoes on Cuba and Iraq (after first war). He thanks God for the many peacemakers in our society who will continue to work for peace and justice in the world. He is also thankful for the gift of family and friends, including those no longer living, who so enriched his life! Hank was a kind and generous soul with a great sense of humor, who will be remembered with much love by his family, friends, and those that knew him. A memorial will be held for Hank on Saturday March 17 at 2:00 PM at Plymouth Congregational Church at 6th and University in downtown Seattle. Parking is under the sanctuary from University Avenue. Contributions may be made to Plymouth Congregational Church or to the charity of one’s choice. My parents, Martha & George Knowles knew your parents and my mom's brother, Jack Pierce taught with your dad at Highline CC for many years. They all spoke very highly of your dad over the years. My sympathy and condolences on your loss. He made so many contributions in several ways. The Becker family will always have fond memories of Hank's warm, welcoming spirit and the entire Perry family, especially of the storied family Thanksgiving gatherings on Federal Avenue.